Happy Friday! It is just about 5 o'clock in the great state of Alabama, and we all know what that means! 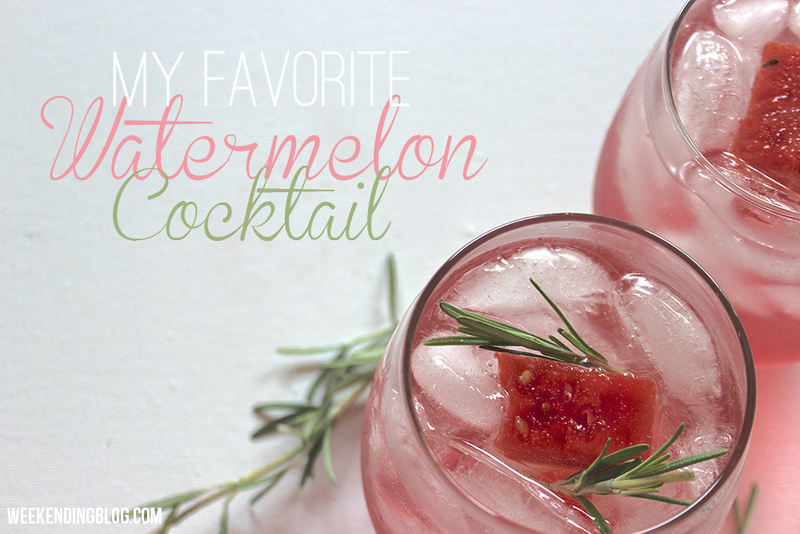 This is the second time I have whipped up this refreshing watermelon cocktail. The first time being at Gravine Island (or the redneck riviera) on the 4th of July! It was perfect for that hot summer day! 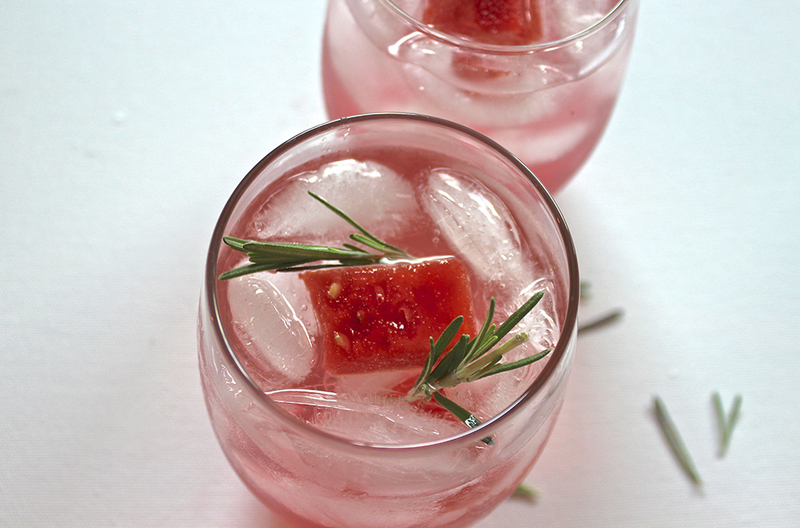 This cocktail is easy-peasy. 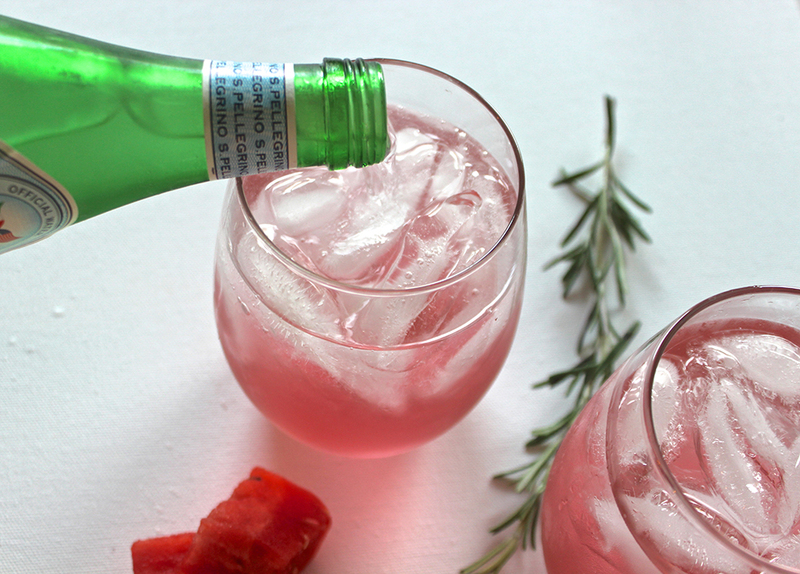 We knew we wanted vodka and some juice but the twist was this ingredient: sparkling water. We wanted bubbles but knew it was just too long of a day for champagne to be added to the vodka! It was so delicious and tastes like flavored, sparkling water (my favorite beverage)! Note: The rosemary was added this time to balance out the sweetness. Not necessarily needed but definitely added a little something extra. Mint or basil would also be perfect! Looks so refreshing, right? I think I need to do cocktail recipes more often!